As part of this agreement CartoDB will integrate and commercialize Location Data Services, created by Mapzen, for Enterprise Users. CartoDB, a leading company in location intelligence, and Mapzen, an open source and open data mapping company, have announced a technology and commercialization partnership. 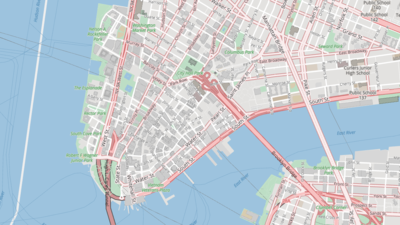 CartoDB, a leading company in location intelligence, and Mapzen, an open source and open data mapping company, have announced a technology and commercialization partnership. As part of this agreement CartoDB will integrate and commercialize Location Data Services, created by Mapzen, for Enterprise Users. The commercial offering starts with the Enterprise package, which includes a set of Location Data Services, such as custom vector basemaps, geocoding, and routing. This commercial offering extends beyond the existing Free Tier by including: custom limits and quotas, Service Level Agreements, service behind firewalls, and Enterprise support. This partnership provides an exciting alternative to existing Location Data Services in the market, making state of the art technology and services accessible to all with affordable prices and reasonable terms.